I hope you can help me here. The other day, I set off for work leaving my husband in the house watching the TV as usual. I hadn’t driven more than a mile down the road when the engine conked out and the car shuddered to a halt. I walked back home to get my husband’s help. When I got home I couldn’t believe my eyes. He was in our bedroom with the neighbours daughter. I am 32, my husband is 34, and the neighbours daughter is 22. We have been married for ten years. When I confronted him, he broke down and admitted that they had been having an affair for the past six months. I told him to stop or I would leave him. He was sacked from his job six months ago and he says he has been feeling increasingly depressed and worthless. I love him very much, but ever since I gave him the ultimatum he has become increasingly distant. He won’t go to counseling and I’m afraid I can’t get through to him anymore. I have been a Muppets fan since the day they first arrived on the scene —this video is one more reason why.. and I am still laughing. Here is a new feature of the Muppets singing the QUEEN song, Bohemian Raphsody… watch it to the very end. The holiday season is truly upon us. 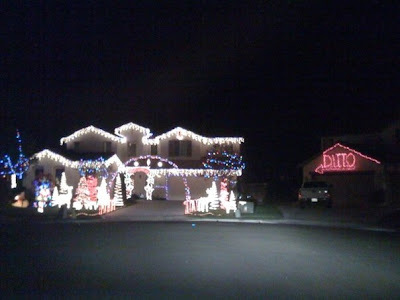 At least somebody has a sense of humor! Today is a symbolic day of giving thanks, of showing appreciation and giving praise to all things that mean something important to us. We, of the western world and of American citizenship, take so much for granted. We live a life of privilege, yet, for the most part you would never know it, based on how much people complain and whine. By and large, we act like a bunch of spoiled brats. Today is a day to “recalibrate the heart.” It is day to rest our mindset in the direction of gratitude, for there is much to be grateful for. Today is a day to count our blessings, even the simplest things, like raindrops on roses. It is easy to take things for granted under times of stress. It is even easier to see ourselves as victims and become blind to all the things going right for us in this world. Raindrops on roses, and whiskers on kittens are metaphors for recalibrating the heart, from fear to love. And.. thanks for visiting this health education blog… HAPPY THANKSGIVING! One of my colleagues, Ilan Shamir, has an exercise called, 1,000 Things Went Right Today. Rather than focusing on the negative, he invites people to put an emphasis on the positive, and there is much to be positive about, regardless of your present situation. He asks people to make a list of all the things that went right for you today (He asks for 1,000. When I pass out this exercise, I only ask for 10… for starters). So…if you can breath, put that down. If you can smell the turkey cooking, add that to your list as well. Start with the little things that you take for granted. Begin to recalibrate your heart and mind in the direction of light and love. * As a side note, tonight (or soon thereafter) pull out the movie The Sound of Music and take note of all the stress management techniques used: Music therapy, positive affirmations, prayer, support groups, acceptance, compassion, creative problem solving, faith… the list goes on. The Sound of Music is many things to many people, but to me (aside from being a great story with unforgettably great music,) it’s a series of lessons in effective stress management! 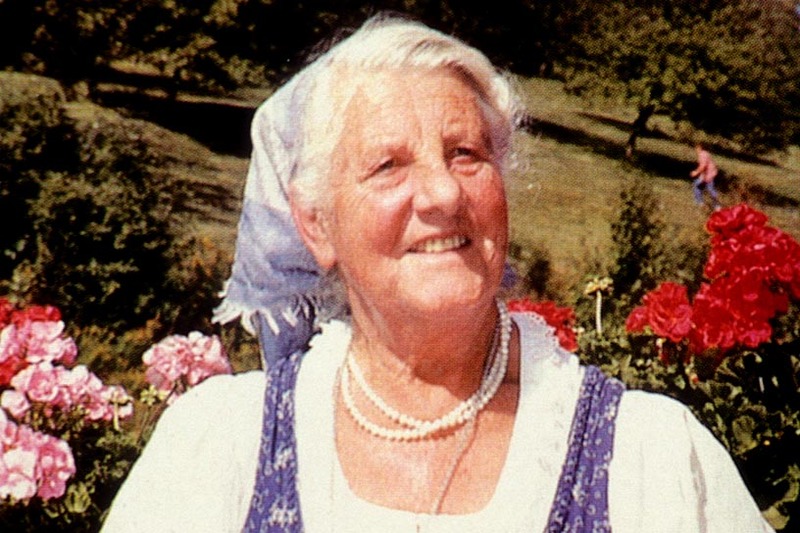 If you can get your hands on it, please consider reading Maria von Trapp’s book, The Trapp Family Singers. This is the book that the famous movie is based. They only used the first 10 chapters or so… the rest of the book is equally compelling. And.. if your ever get up to Stowe, Vermont, I highly recommend you stop in to the Trapp Family Lodge for a cup of tea, or better yet, stay the night! I never had the privilege of meeting the real Maria von Trapp, but I did frequent her lodge quite often while living in Vermont. Here is a photo of the inspiration behind the musical and movie, The Sound of Music. Norman Cousins, the guy who put humor on the map as a healing modality back in the 60’s, walked up to the podium mic at one of his last talks and said this: “I never said that humor cured me!” There was a gasp from the audience who came to hear the exact opposite in his message. Then he added, “In fact, I never said humor healed me!” Another gasp from the audience, now flummoxed with the content of his speech. “What I said,” Cousins growled into the mic, “was that it was love that healed me. Humor is simply a metaphor for love.” Profound words indeed! To that we can add, patience, forgiveness, optimism, faith, creativity, and compassion are also metaphors for love as well. There are many colors in loves rainbow. Driving by the Boulder hospital, a banner draped over the side of the front read: Love Heals (Norman would be proud!) At a time when our health care system remains in crisis, it was a beautiful reminder of the essence of healing. The opposite of love is fear (stress), and there is much fear today. Fear doesn’t heal anything. When fear persists beyond the point of getting out of danger, it only makes things worse. If fear is a toxin, then love is the antidote. Take a moment to reflect on the concept of love. Not romantic love (although that certainly isn’t a bad idea either). Sit still, close your eyes and contemplate the profundity of love, in all its many colors. Think of a time when you were in a state of bliss. Recreate both the thought and feeling in your mind and body and let this feeling radiate from your heart in all directions. Carry this feeling of love as you embark on your daily routine. When you meet fear (from other, or that produced in your own mind) open your heart. Given the chance, love conquers all. I received an email about a new documentary movie, called Oh My God, coming out this weekend in select cities. Here is the preview for it. 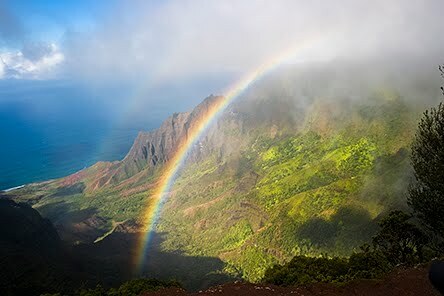 Speaking of rainbows, how about a photograph from the land of rainbows: Hawaii! This photo was taken last December on one of my pilgrimages to Kauai. Enjoy. How much money do you have in your savings account these days? Perhaps the question is, DO you have a savings account these days? Several stories on NPR this week have held a spotlight to the topic of “fiscal fragility”. The bottom line is that we are not out of the woods YET regarding this economic meltdown. Recently, two economists (Harvard and Princeton) conducted a study to determine how many Americans had a minimum of $2,000 in a savings account (not credit cards, but actual cash), for emergencies (e.g., car problems, health issues, etc.). The answer was less than promising. While it’s true that Americans are saving more today than two years ago, apparently not enough. Not enough people are being fiscally responsible, meaning that they are still living outside their means. The term “fiscal fragility” is another expression of stress, and there seems to be a lot of it out there. 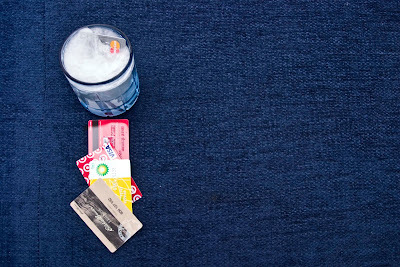 Take an inventory of how you spend your money by looking at your checking account register. Where are you spending your money? Where are you hemmorraging money? Where can you cut back?Financial advisors suggest tat you see your savings account payments as a weekly or monthly expense, not a luxory. even if you only have pocket change… deposit it into a savings account. Remember, debit cards are handy, but not if you don’t record your transactions in your checkbook register. Just cutting back on lattes at Starbucks each day for a year amounts to over $1,000. Little things add up. Make and effort each day (without becoming stressed about it) to move from financial fragility to financial responsibility. As if we all need more bad news about the economy, there is even more bad fiscal news on the horizon. NPR’s Fresh Air host, Terry Gross interviewed Josh Kosman (author of the book, The Buyout of America). He predicts that the next bubble to burst is the collapse of many companies bought then sold by private equity firms. The link below highlights his interview. In making up a series of photos for the powerpoints for my college textbook, I tried to capture some ideas suggested by financial advisors. 2. Place your credit cards in a glass of water and the freeze it.. so you will only use it for emergencies. Since I was a little boy, I found reading biographies and autobiographies to be very inspiring. One of THE most inspiring books I have ever read was written by a women named Nien Cheng. Her autobiography, Life and Death in Shanghai, is a book I recommend nearly everywhere I speak. While many people saw her book as an expose about the politics of Mao’s Communist regime, I saw a story about the incredible health of the human spirit; someone who went through hell and kept going… Briefly, her is her story: At the age of 56 Nien was placed in solitary confinement in the No 1 Detention House in Shanghai for 6 1/2 years, accused of being a spy: Her crime; she spoke English. She was released when President Nixon arrived in China, as a token gesture for human rights. 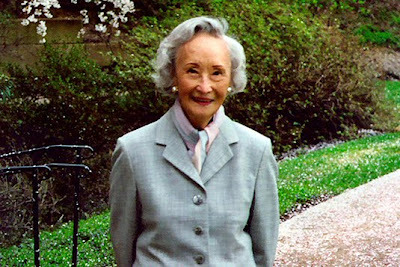 You can read more about her life in her best selling book, Life and Death in Shanghai. I first heard Nien speak at a lecture in Washington D.C. in 1990 where I was teaching on the faculty of The American University. I was forever moved. I invited her to come to my stress management class that semester and speak to my students about her horrible ordeal… and she accepted. “In China, we have no word for stress,” she said. “We call it opportunity.” Nien and I became immediate friends, so much so, that years later she even bought me a wedding present. Over the years we called, wrote and emailed hundreds of times, and I visited her every time I went to D.C. Nien Cheng was a remarkable soul and my life is all the richer for our friendship. I will miss her greatly. I have told her story (and stories of our get-togethers) in my books and wherever I go, and now with her passing, at the age of 94, I feel compelled to pay tribute once again to a beautiful soul. Without a doubt, Nien Cheng is the epitome of grace under pressure. Do yourself a favor and read Nien Cheng’s book, Life and Death in Shanghai. It will make any stressful event in your life (or all of them) look like a bed a roses. I often say that Nien’s book is the female version of Victor Frankl’s book, Man’s Search For Meaning. Not long ago, Nien sent me this photograph to use for my textbook (Managing Stress) and slide shows (Stressed Is Desserts Spelled Backward). She said to me as she gave me this photo, “I don’t know why I have lived so long. I think it’s because I practice t’ai chi.” I smiled, but I knew it was much more than that. One definition of stress goes like this: “Stress is a perceived disconnection from our divine source.” Some call this a “bad hair day” while others (with more stress) call it “The day from hell.” Indeed, in times of stress we can feel like we have been abandoned, even punished by God (even by those who claim not to believe in one). Prayer is not only the recognition that we are part of something much bigger out there (whatever you choose to call it), but a desire to be in alignment with this divine source. Prayers come in many styles (e.g., requests, gratitude, call for help, etc.) and today there is much research on the topic. In the words of Carl Jung, “Called or not, the gods are here.” The wisdom keepers the world over, remind us that we are NEVER alone. Spiritual assistance is only a thought and a prayer away. However to this we must add, when your prayers aren’t answered, it wasn’t that they weren’t heard… it’s just that the answer was NO! And one must also be reminded of this sage advice: Be careful what you ask for… you just might get it! First and foremost, prayer is an intention. As children we learn to recite prayers but prayers are more than just words, they are words with emotion. Prayer is considered by many to be a very effective coping technique for stress. Author Sophy Burnham (A Book of Angels) suggests that prayer, to be most effective, be done in much the same way that mental imagery be done: Speak in the present tense, speak from a positive perspective, join your intentions with a feeling of love (not fear), detatch from the outcome and end with a word of gratitude. There are many books on prayer today, but my favorite is the classic work, Healing Words by Larry Dossey. As a side note, Herbert Benson and colleagues’ study on the efficacy (or lack thereof) of prayer may have gained lots of attention (even a cover story in Newsweek or Time) but the study was so fatally flawed it is considered a travesty by researchers. There is an expression that says when you sing, you pray twice. I don’t sing when I see mountains like these, but I am filled with awe and silent praise, a whole other kind of prayer. 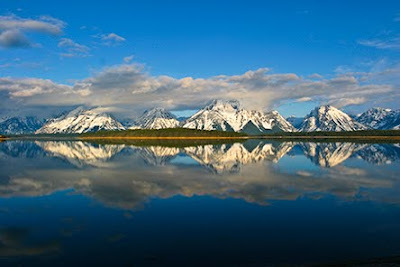 The Tetons are amazing and this photo was taken last summer on an early morning walk. Enjoy! Of all the coping techniques known to diffuse stress, what rises to the top of the list is the one called “support groups.” It’s the reason why jokes are more funny when shared. It’s the reason why we prefer to do yoga in groups rather than alone, and it certainly is the core of success behind recovery groups of all kinds. Having friends around makes a meal so much more enjoyable. John Donne was right when he said, “No man is an island.” Good friends can certainly take the edge off a bad day. Friendships contribute to the best memories of life you will ever have. Regarding stress, the bottom line is that we all want to be accepted. Acceptance is a form of love and ultimately we all need to be loved, too. Social support, however, takes work. Friendships just don’t happen. They require constant nurturing. Friendships require more than Facebook updates and tweets. Never let technology replace a strong bear hug. Phone calls, pot lucks, birthday cards, morning jogs, rock concerts, tailgate barbeques and perhaps even vacations together; these are the moments one looks back on with fondness. As the stress of life increases, so too, does the importance of friendships. Indeed, that is why we are here in the first place. How strong is your support group? Who do you count among your closest friends? What do you do to nurture these friendships? In the normal course of life, friends move, some even die all too soon. What do you do to maintain that critical mass of friendships, that critical mass of support? Consider adding to your social support group but making a new friend today. 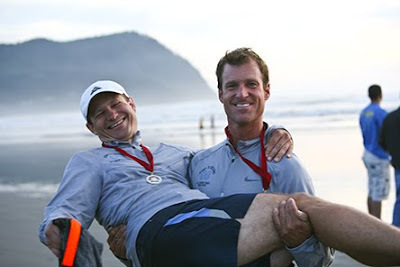 Nearly two years ago a good friend and college buddy from The University of Illinois called me up and invited me to run in Hood to Coast Relay with 11 of his friends (Thanks, Barry!) I said yes before I knew what I was getting into, but it was one of the best memories I’ll ever have of male bonding. Here is one (of hundreds of) photo(s) I took at the finish line (can you sense the exuberance of the moment?). This photo, perhaps more than any other taken that weekend epitomizes the word support! First, you should know that there are over 600 modalities of complementary (alternative) medicine; everything from acupuncture to zero balancing, and a whole lot in between. Second, the purpose of these healing modalities is quite simple; to bring your body back to homeostasis. By no coincidence, there are hundreds of effective coping and relaxation techniques to manage one’s stress, and each of these has the same purpose: to bring one back to homeostasis (also known in the trade as“ inner peace”). It’s a safe assumption that nearly every technique for effective stress management falls in the family of complementary medicine. One should also know that there is no one technique that is effective for everyone with regards to reducing stress, nor is there one modality of complementary medicine that works for everyone either. Currently, there is much scrutiny about funding (not to mention efficacy) for various aspects of “healing,” with an emphasis placed on outcomes. Due to the nature of the mind-body-spirit dynamics, measuring the “mechanism” of complementary healing is akin to eating soup with a fork (we will revisit this topic again soon). The paths to inner peace may be countless, it only matter that you progress on the path you take. Have you ever had a massage? Have you ever been treated with acupuncture? Do you do Hatha yoga or Tai Chi, mental imagery, biofeedback, music therapy, herbal therapy, guided imagery, humor therapy, physical exercise (yes, physical exercise is indeed, in the family of complementary healing)? The best way to see if a modality works is to actually try it (sometimes it may take more than one exposure, too!) Sometimes it helps (particularly with a chronic condition) to combine several modalities What do YOU do (on a daily basis) to bring your mind-body-spirit to homeostasis? It matters not which modality you use, but that you do return to homeostasis regularly! There are two kinds of acupuncture: Classical (5-element) and Traditional (TCM). I am a big fan of Classical Acupuncture (which addresses all aspects of wellness: mind, body, spirit and emotions.) 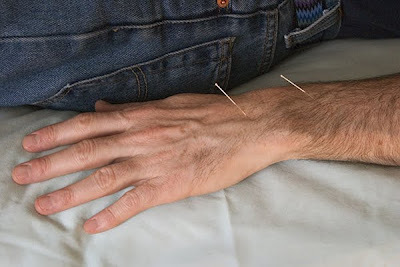 This is a photo taken during a session of 5-element acupuncture. 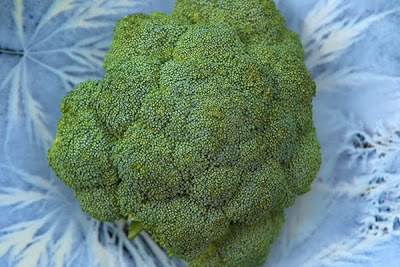 To the Health of Intestinal Flora! As we begin the season of colds and flues, with hand sanitizers being as common as Starbucks these days, I thought it was important to remind people that not all bacteria is bad! In fact, you cannot live without the good kind of bacteria; the kind that lives in your gastro-intestinal tract and helps digest your food. Nutritionists call this “intestinal flora,” the most common being acidopholus, and they recommend you take good care of it. Sadly, most people don’t. Heavy use of antibiotics can kill the good bacteria, as well as the bad, something most doctors won’t tell you when they hand you the prescription. When the good bacteria is destroyed and not replenished (this can be replaced with supplements, probiotics, even yogurt) the yeast infection, Candida, is known to occur. Candida seems to thrive on sugar and nutritionists often say that sugar cravings are the result of an imbalance (stress) to the intestinal flora. Some suggest that Candida is quite possibly linked to several other chronic diseases. Unbeknownced to many people, several foods (specifically meats, such as chicken and red meats are loaded with antibiotics, which are then consumed, causing havoc on the GI track). How healthy is your intestinal flora? If you are not sure, consider providing some balance by adding some probiotics to your diet. While natural sources are considered the best, there are a few small food companies that make good products and these can be found near the dairy section of your grocery store. You can also Google “probiotic products” and see what shows up. And you can always reach for a container of yogurt (without sugar) as well. Also consider organic free range meats! To your health! A friend (thanks Wendy) sent me this link and I liked it so much I thought it was worth sharing as well. To be honest, it has absolutely nothing to do with intestinal flora, but on a much bigger scale, perhaps it does, for, it too, speaks about an imbalance and stress to the planet. Well, OK! This isn’t a photo of yogurt, or even a carton of “GoodBelly” probiotics, but it was the best I could do on a Monday morning. And it does look healthy! Enjoy!